We offer private group charters for half-day, full-day, and multi-day trips. 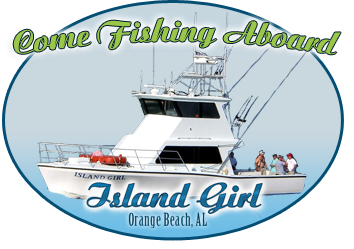 Whether you are looking to go trolling near shore, bottom fishing, or offshore fishing for Tuna and Marlin, we have a trip to suit you needs. We also offer Cobia fishing the month of April and are available for Marlin fishing tournaments in the summer. You can browse our pricing tables below for the different trips we offer. Please call us today if you have any questions and we will be glad to assist you. NOTE: Trip Pricing is for up to 10 passengers. Add 10% of trip price for each additional passenger. 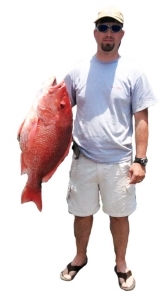 Half-day charters are a great opportunity for Red Snapper, Mackerel, and Triggerfish. They are perfect for young children or elderly folks who want to catch fish but can’t spend a lot of time in the sun. Full-day charters offer chances at a greater variety of fish. Amberjack, Scamp, Grouper, Wahoo, and King Mackeral to name a few can be caught on full day charters.